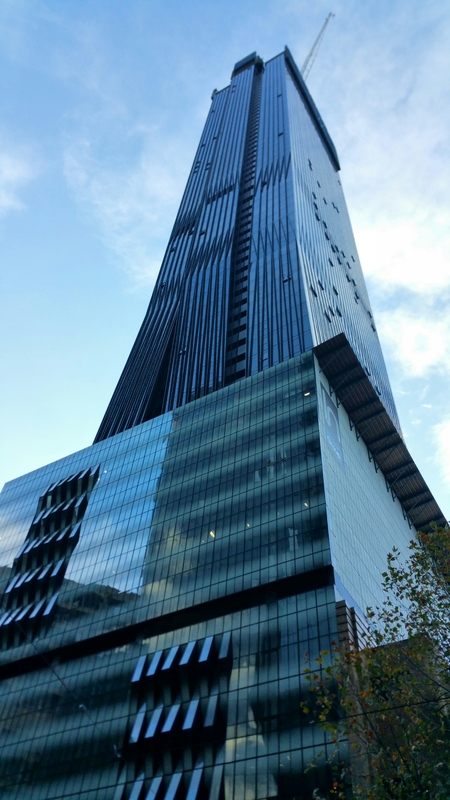 Two brand new high-floor luxury one bedroom apartments in Melbourne’s =6th tallest building – 568 Collins Street – available for sale/lease. Both units situated on levels 40+ in Melbourne’s equal 6th tallest building offer an abundance of natural light and spectacular water views of Docklands, Yarra River, Hobsons Bay and beyond. Here, you can enjoy the spectacular fireworks from Docklands in the comfort of your own home. Conveniently located at the Docklands (Western) end of Collins Street, everything you need is within walking distance (10 mins to main shopping strip Bourke Street Mall). But if you’re not a keen walker, the tram stop (inside the Free Tram Zone) is just at your door step and major transport hub Southern Cross Station is 2 mins walk, as is the Sky Bus to the airport (20 mins ride). Three supermarkets, IGA, Woolworths and Coles are a stone throw away, and plenty of restaurants and cafes are nearby. Several large businesses will become your neighbour including the Commonwealth Bank, ANZ Bank, NAB, Channel 9, MediBank and more. As will Etihad stadium which seats over 53,000 spectators. 567 Collins Street directly opposite Collins Tower is also expected for completion mid-2015 and will add a further 50,000 sqm of premium grade commercial space, as well as house a new state-of-the-art Virgin Active Gym. Five star Resident’s facilities include: indoor heated swimming pool, spa, sauna, gyms (all with excellent views of Melbourne from Level 33), bowling alley, rooftop garden, secure access, onsite building management, cafes/restaurants. The Low Rise strata (Levels 11-33) have already moved in, and High Rise (Level 34+) is expected to settle from July 2015. Substantial savings on stamp duty is available for buyers. Whether you are buying or leasing, these brand new premium one bedroom apartments will appeal to those wanting to live close to work, transport, world-class dining and shopping, having access to luxury amenities, unobstructed water views, and the peace of mind of a fully secure building.